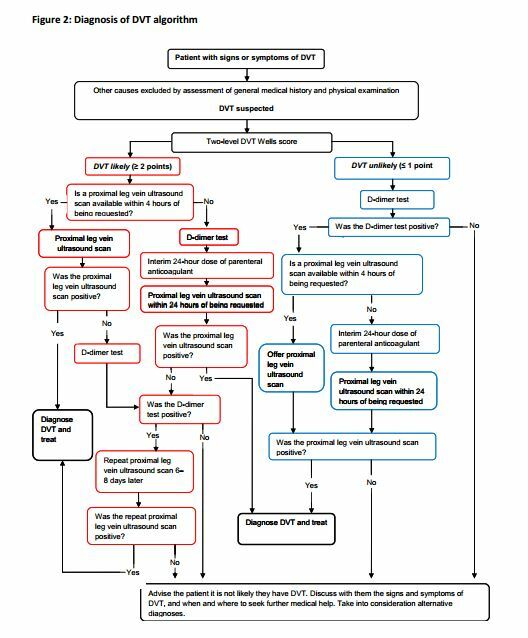 The National Institute for Health and Clinical Excellence (NICE) has published the outstanding guidelines on DVT and PE diagnosis and management. This post accesses some of those resources. 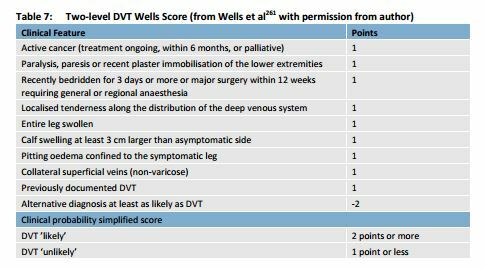 The first link that follows is an outstanding and brief single web page review of DVT and PE diagnosis and management. 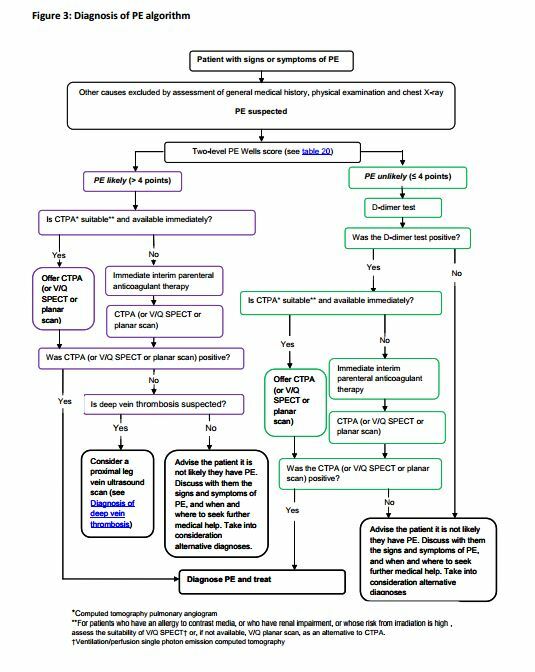 It can be reviewed quickly in only a few minutes: Venous thromboembolic diseases: the management of venous thromboembolic diseases and the role of thrombophilia testing: Guidance. 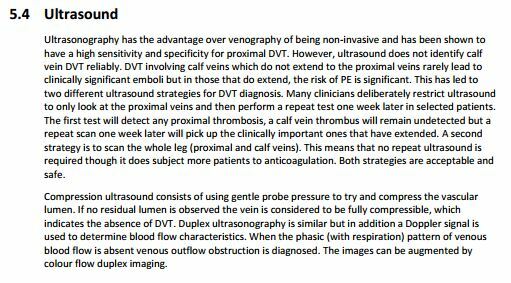 And finally the full guideline is here: NICE 2012 Venous thromboembolic diseases: the management of venous thromboembolic diseases and the role of thrombophilia testing PDF Full Guideline. This entry was posted in Emergency Medicine, Family Medicine, Guidelines, Internal Medicine, Medical Imaging, Medical Tests, Pulmonology, Ultrasound Imaging, Vascular Diseases. Bookmark the permalink.